Investment Capital Ukraine (ICU), which was headed by Valeria Gontareva before her appointment as the country's chief banker, was reportedly involved in brokering $1.5 billion in bond purchases designed to help ex-president of Ukraine Viktor Yanukovych siphon US$1.5 billion from the country between 2012 and 2014, according to the Novoye Vremya weekly, referring to Al Jazeera. "The Kramatorsk City Court order exposed in graphic detail the intricate company network used to steal the money, naming Investment Capital Ukraine which brokered the purchase of dollar-denominated bonds worth $1.5 billion on behalf of eight Cypriot companies," Novoye Vremya wrote. They were later traced to Yanukovych, who was overthrown in February 2014. "A military court in Kramatorsk city in east Ukraine quietly handed down the secret ruling in March 2017, listing hundreds of companies, some Cypriot, that were effectively a pipeline for syphoning cash out of the country," Al Jazeera said. The whole financial network was described as a "criminal enterprise" headed by "Party One", Yanukovych, who is self-exiled in Russia. Read alsoDirty deal traced to three Ukrainian tycoons – Al Jazeera (Video)Also named is the entity the "Secretariat of Serhiy Vitaliovych Kurchenko." Kurchenko is a businessman who emerged aged 27 with a net worth of $400 million and a huge oil and gas business. He was considered Yanukovych's "chief financial officer." It added that law enforcement agencies and market regulators have "looked deeply" at the bond transactions it was involved in and found ICU's role to be "appropriate and above board." In turn, Gontareva said that when the transactions were made, she and ICU "saw nothing suspicious." The state bank involved, she said, "confirmed receipt of funds and financial monitoring of non-resident companies, therefore, ICU had no suspicions about these companies, as all documents and extracts from accounts with the State Bank fully complied with the requirements of the current legislation." ICU Group was established in June 2006. It provides services for trade in securities, investment banking services, and manages the assets of joint investment institutions. Gontareva submitted her letter of resignation to Ukrainian President Petro Poroshenko on April 6, 2017. She is said to be on paid vacation starting from May 11, 2017. 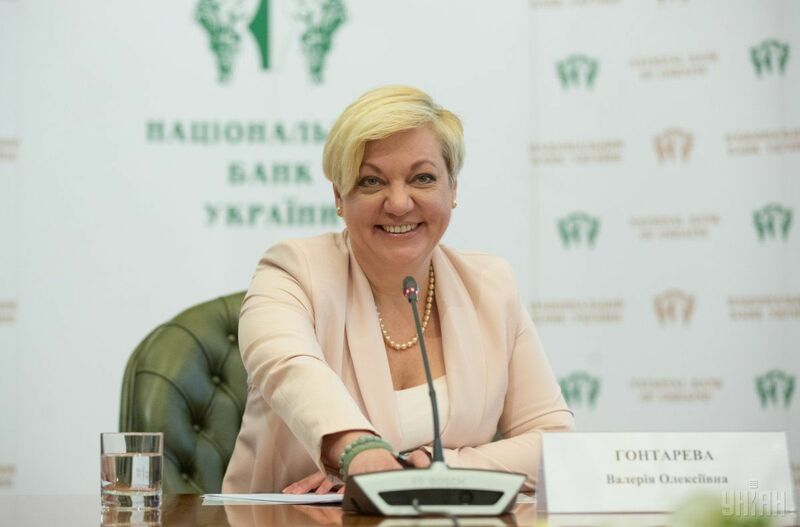 First Deputy NBU Governor Yakiv Smolii acts as head of the central bank.